Ukraine - Two child and youth creativity centers and a municipal music school, refurbished by IOM with funding from the Government of Japan, have re-opened in Ukraine’s conflict-affected Donbas region. The three facilities in Kostyantynivka, Druzhkivka and Svyatohirsk will serve almost 2,500 people, including over 500 displaced children and adults. According to the State Emergency Service of Ukraine, there are about 400,000 internally displaced persons (IDPs) living in government-controlled areas of the conflict-affected Donetsk and Luhansk regions. The armed conflict in Eastern Ukraine has impacted the political, social and economic fabric of the region, creating vulnerabilities and a lack of basic services. The influx of IDPs has created an additional burden on the social infrastructure. Thousands of public buildings and other infrastructure have been damaged during the fighting. Since March 2015, with funding from the Government of Japan, IOM has been running a project in eight post-conflict communities in Donetsk and Luhansk regions to assist IDPs, local communities and returnees to restore social infrastructure and to rebuild trust. This has included workshops, master classes and competitions held at the social centers which now have new roofs and windows. Music has also played an important role in integrating displaced people, especially children, in their new communities. Overall, the project has renovated 21 social infrastructure facilities, serving over 20,000 people, including almost 9,000 IDPs and other vulnerable groups. Another focus of the project has been to provide micro-grants to IDPs and people affected by the conflict to establish or further develop their own businesses. Over 600 people have attended business training and some 400 beneficiaries were selected to participate in a grant programme that will provide USD 900 of equipment per person. "The Government of Japan is providing comprehensive humanitarian support to internally displaced people and people affected by the conflict in the Donbas region in cooperation with various international organizations. 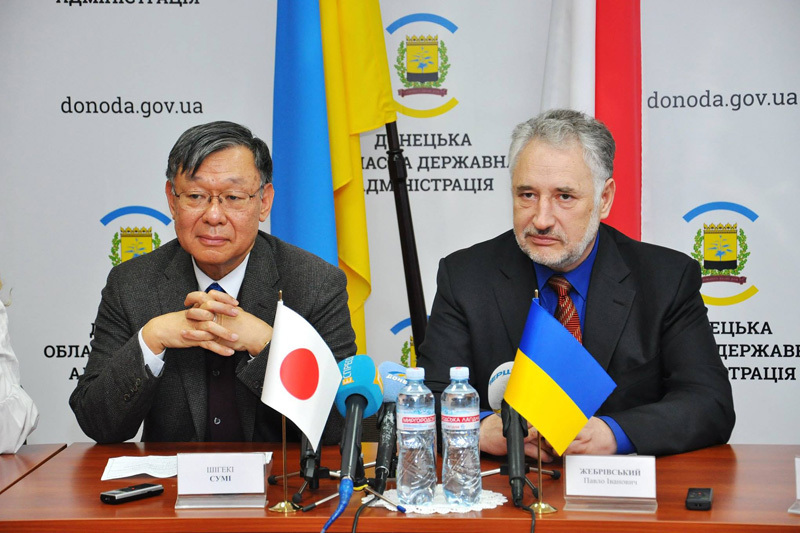 The project implemented by IOM has become an excellent example of effective support for initiatives that promote social cohesion of IDPs and host communities,” said Ambassador of Japan to Ukraine Shigeki Sumi, promising ongoing support. For further information, please contact Varvara Zhluktenko at IOM Ukraine, Email: vzhluktenko@iom.int, Tel. +38 044 568 5015 or +38 067 447 97 92.